يشكل فندق Island Gateway Holiday Park بموقعه الممتاز في قلب هذه المنطقة الرائعة كنقطة انطلاق ممتازة لاستكشاف المدينة. يجذب هذا العقار ذو 3.5 نجوم، والذي يبعد 1.5km فقط عن وسط المدينة و عن المطار، الكثير من الزوار سنوياً. يوجد العديد من المعالم السياحية الأكثر جذبًا للسياح في هذه المنطقة. استمتع بالخدمات الراقية والضيافة التي لا مثيل لها بهذا الفندق في هذه المدينة رائعة الجمال. تتضمن الميزات الرئيسية في هذا الفندق: واي فاي مجاني في جميع الغرف, مرافق مخصصة لذوي الاحتياجات الخاصة, تخزين الأمتعة, واي فاي في المناطق العامة, صف السيارات. استمتع بوسائل الراحة الراقية في الغرف أثناء إقامتك هنا. بعض الغرف تتضمن تلفزيون بشاشة مسطحة, اتصال لاسلكي بالإنترنت, غرف لغير المدخنين, مكيف هواء, مكتب لمساعدتك على استعادة طاقتك بعد يوم طويل. سواء كنت من محبي الرياضة أو كنت تتطلع لتفريغ عناء نهار صعب، ستجد خدمات ذات مستوى عالي بانتظارك كمثل حمام سباحة خارجي, ملعب للأطفال, ملعب تنس, حديقة. اكتشف مزيجاً ساحراً من الخدمة الاحترافية والخيارات الواسعة من وسائل الراحة والمتعة في Island Gateway Holiday Park. As backpackers, we booked in for a tent as it was the cheapest option in town, but on arrival we were upgraded to a cabin. 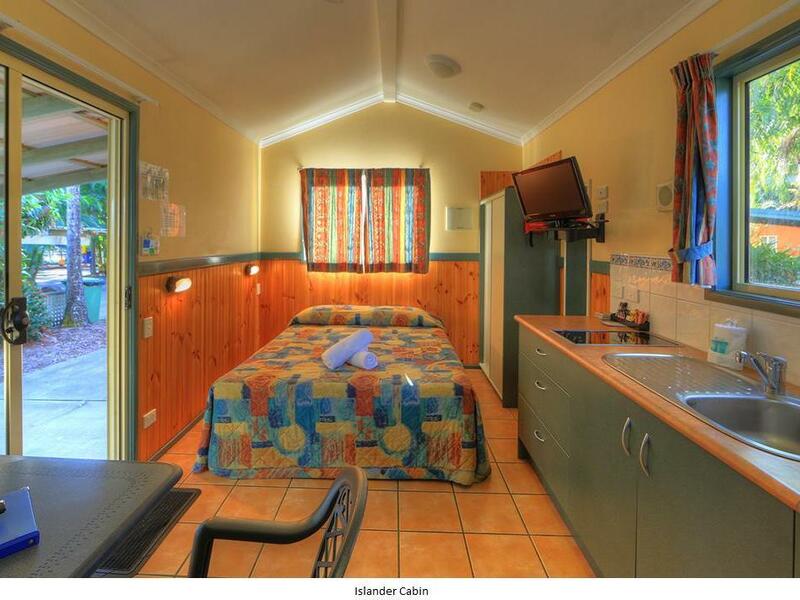 Fantastic facilities, very new clean and good shower / toilet block. Excellent customer service, the staff couldn’t do enough to help us. Really recommended. 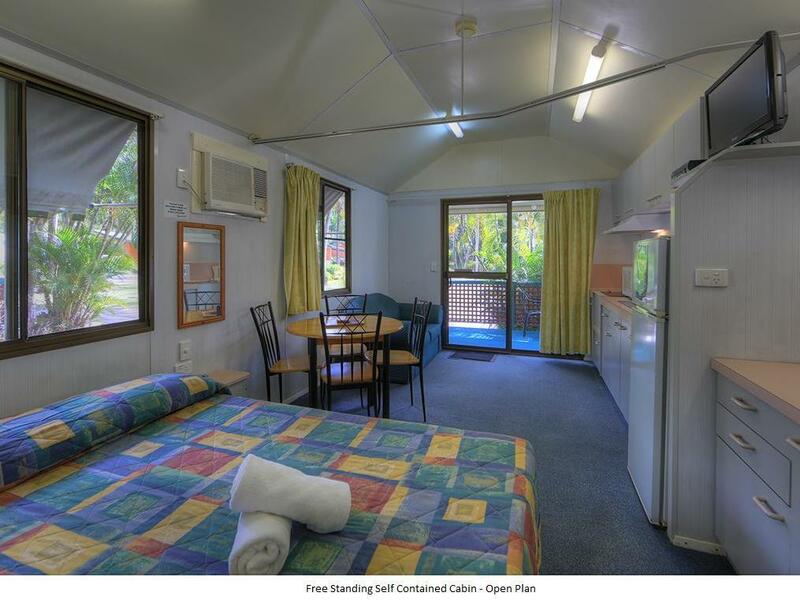 Lovely caravan park just outside Airlie Beach. Toilet and shower blocks super clean and a very quiet site. The reception staff were very helpful and booked us a last minute tour to the Whitsundays. They also helped with suggestions for our onward travel. Our little cabin was very well equipped and there was loads of tea, coffee, salt and pepper. 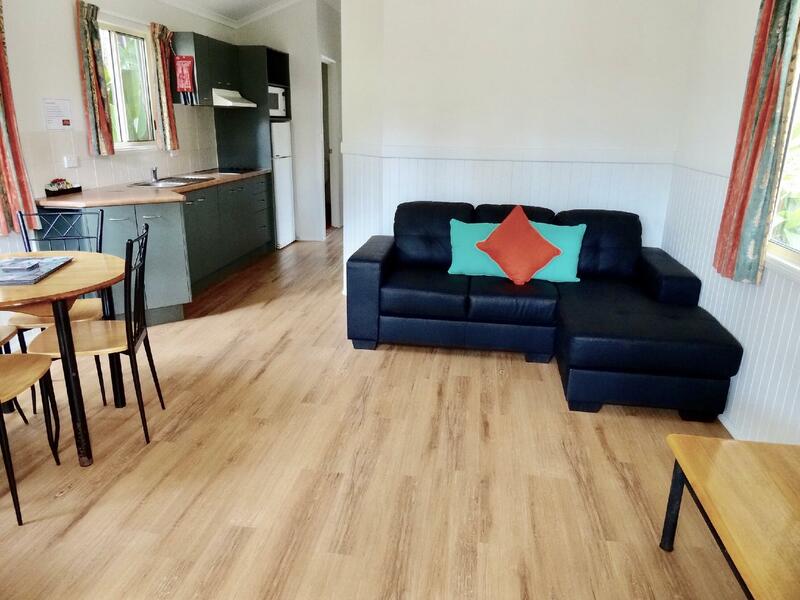 Extremely helpful for self catering. Our kids loved feeding the birds and playing in the pool. Great for families. Our stay was very pleasant. The place is very close to the town, you can walk o you can take the bus o your car! Staff was very very helpfull in all our questions. Very clean toilets and showers. Kitchen with all you need for cooking. Shame our food was stolen from the comunal fridge! 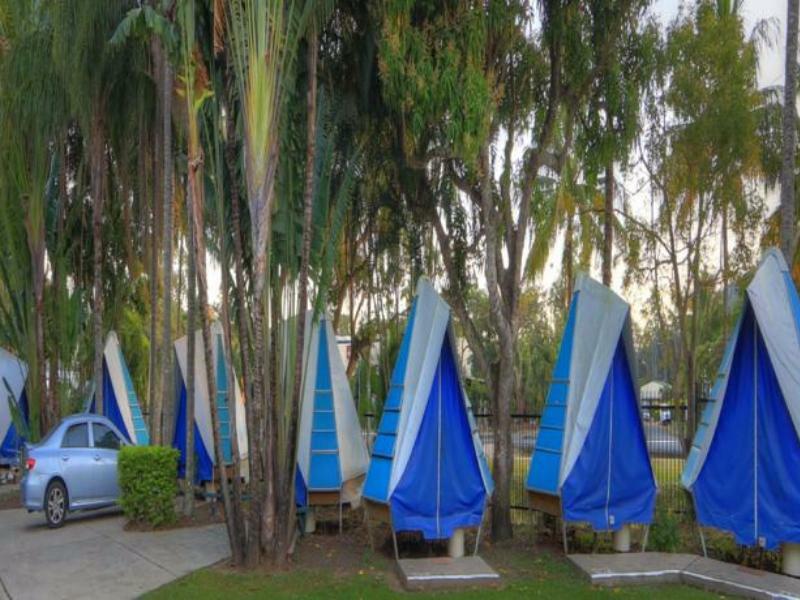 As a camping park, the place is very clean and well-maintained especially the toilets! :) This is our first time being in a trailer park so please read this review with a pinch of salt. The tent-like accomodation we had was cool in structure but do note that it does not come with bedding/sheets. It is spartan with no fan. The location is not central so you will need a vehicle to get around easily (otherwise it is a looong walk) But you can get the reception to organise trips/tours for you (we did!). the staff is great! The downside was the wifi which is only available near the office and we were unfortunately bitten by midgets/sandflies while on site using the wifi in the evening. It was unexpected (not the fault of the Park) and for my fellow travellers, take note. We enjoyed our stay, great staff always had a smile always happy to help. Very close to IGA Supermarket, right across a Bistro Pub and bus stop is literally next to the park. Downside is there were very few access to BBQ and half of the stoves provided aren't working! it would also be great if they provided fans in the "camp-o-tel" even in the kitchen just to help get rid of the flies and mosquitos. Very low signal and slow WiFi connection. Though you can connect to the hotel next door if you find it on your device password is mango123 (I don't know how long it will be available for). The camp-o-tel was very basic - plenty of holes and places for mozzies and other things to get in! Would probably rather camp. The mattress is plastic so make sure you have sheets that completely fit cover the bed or you'll stick to it :) showers clean, lots of hot water. Camp-o-tel beside a busy road - loud. Pub across the road loud also. es liegt nahe beim schiffshafen. von da aus starten die ausflüge zu den whitesunday islands. lernst neue leute kennen in der gemeinschaftsküche. der preis ist gut sowie die unterkunft! Es war gut. War in einem fixen zelt, dieses war sauber, hatte genügend innenraum und verfügte über einen kleinen tisch und zwei betten. die sanitären anlagen sowie die küche waren sehr sauber.